I’m delighted to announce that one of my short stories won a ‘Highly Commended’ award for the Bridport Prize, 2012. It is a great honour, the competition is one of the most highly regarded in the UK – and worldwide. There were over 6000 entries for the short story section alone. I attended the award ceremony and champagne lunch which was held at the Bridport Arts Centre on Sunday 14th October. 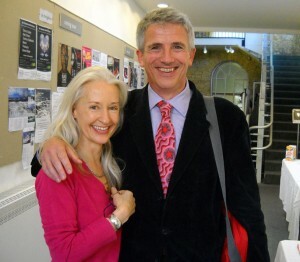 The judge for the short story section of the prize was the wonderful writer Patrick Gale. I had known Patrick in the 80’s – we both worked in the world’s worst restaurant in Covent Garden (it had a short life, it’s now no longer I’m happy to say). It was wonderful to see Patrick again, I’d been following his progress over the years and enjoying his novels. I hasten to add that the stories for the competition were read anonymously, and that there were no restrictions in the fine print about knowing the judge. ( I did in fact, decide NOT to submit a certain story that Patrick might have gleaned who the author was, set in that awful restaurant). It was also lovely to meet some of the other award winners, and to wander around the very pretty village. I also went to my first Quaker Meeting on Sunday morning prior to the award ceremony, and thoroughly enjoyed it. I seem to have an embarrassingly long list of stories short listed in competitions. However, this one I am very pleased about: I was a finalist in the BRIDPORT PRIZE 2010. Over 6,000 stories were received and approx 100 shortlisted. Zoë Heller was the judge this year and her report will be available on the Bridport site from 31st October. 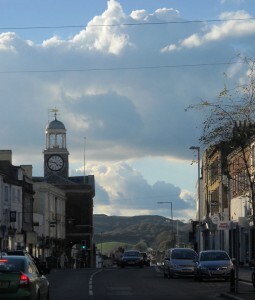 The Bridport Prize is one of the most prestigious short story prizes around – certainly in the UK. Some writer’s careers have been launched by this competition: Kate Atkinson’s short story went on to become the first chapter of her wonderful novel ‘Behind the Scene at the Museum’. The winning stories are read by leading London literary agents who scout for new talent using this prestigious competition. It’s worth noting that the story of mine that was short listed has been passed over by many lesser competitions and journals. I actually think the story is one of my best, so it was good to get confirmation of this and encouragement to keep submitting and to trust my instinct.